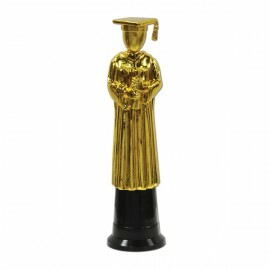 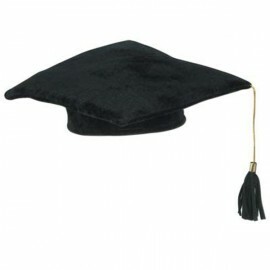 Cap Graduation Plush Black with Tassle (25cm) medium head size Each..
Graduate / GraduationTrophy Gold 21cm Each.. 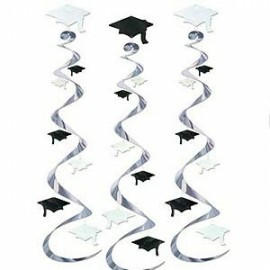 Hanging Decoration Graduation Cap Whirls Black & White (76cm) Pack of 3.. 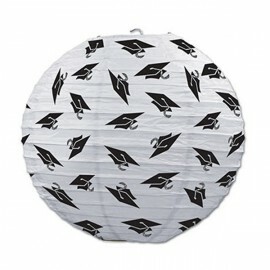 Hanging Swirls Graduation 'Way To Go Grad' Mega Value Pack Pack of 30..
Lanterns Graduation Cap (24cm) Paper Pack of 3..
Photo Prop Awards Night Female (94cm x 64cm) Cardboard (Not suitable for Express Post due to size of product) Each.. 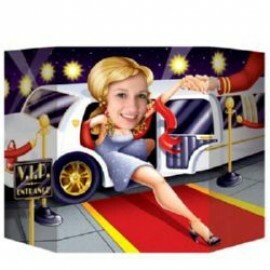 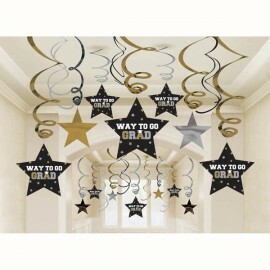 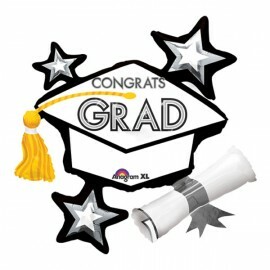 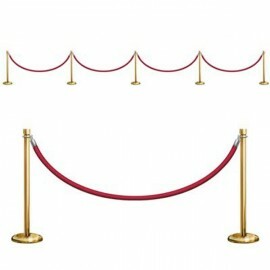 Shape Congrats Grad Hat & Stars, Black & White 78cm x 73cm Foil Balloon (Self sealing balloon, Requires helium inflation) Each..
Stanchion Party Prop Cutout (86cm High x 5.1 Metres Long) One large sheet, cutout each piece then stick on the wall Each..